In recent years, there has been much chatter among American educators about the importance of “science and math” education. It’s no secret that American kids perennially under-perform their foreign peers in STEM subjects: Recent studies have found persistent gaps between the standardized test scores of American students relative to those in other developed and developing countries. There is a general consensus that the country’s education system must rise to the challenge of equipping students to compete in an increasingly data-driven world. There has been less talk about equipping students to compete in an increasingly complex financial environment. Today, relatively few American high school students receive in-depth instruction on financial topics. 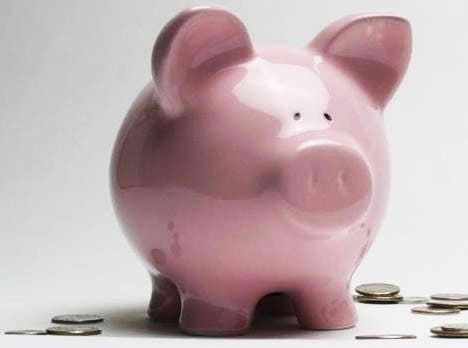 In many high schools, business classes focus mainly on dispensing entry-level personal finance tips that fail to illuminate the connections between the macroeconomic milieu and the microeconomic realities of everyday life. High-level financial instruction is far more robust in some other countries’ education systems. Within the past few years, six European countries have enacted national laws mandating standardized systems of financial education in their schools. Better financial education programs might have long-term benefits for the U.S. economy. Although the recent economic crisis shocked many consumers into behaving more cautiously with their funds, Americans still carry relatively high levels of household debt. In fact, household debt levels exceed the annual income figures for millions of families across the country. The country’s personal savings rate is also worryingly low: Despite continued consumer de-leveraging, it remains below 5 percent. A focused program of financial education in schools might change this dynamic. Such a program wouldn’t have to be compulsory: In many countries, grade-school students choose their specialties well before they enter college or university. American students who find finance and investing interesting could begin to take advanced coursework in these subjects several years before applying to college. In theory, this might give rise to a two-tiered system of financial education. The first tier would involve a dedicated finance or business course beginning early in middle school and continuing into freshman year. The second would provide more in-depth instruction in narrower financial topics like equities investing, retirement planning, and credit issues for students interested in pursuing a career in the industry. First-tier students with no interest in pursuing financial careers would still be able to take these second-tier classes as electives. This would be a win-win situation for general financial literacy: Virtually all American high school graduates would be familiar with basic money matters and a smaller but still broad group would be well-positioned to receive advanced, career-track financial instruction immediately upon entering college. Some states are already experimenting with such programs. In some places, in-depth financial education takes place in elementary school. One school in Chicago encourages its second-graders to participate in a “National Lemonade Day” program designed to foster the entrepreneurial spirit in young children. Other kids at the school are encouraged to set long-term savings goals and devise realistic budgeting plans to facilitate them. While its participants generally look to purchase electronics and other consumer goods with their hard-earned savings, the program doesn’t simply encourage consumerism: By establishing a correlation between earnings, savings and expenditures, it teaches kids about the value of money better than any parental sermon could. Some financial literacy programs and curricula geared towards middle and high school students are downright complex. Washington’s Department of Financial Institutions offers made-to-order classes like “Fraud Scene Investigator” and “Reality Store.” These programs force students to unravel complex financial problems and reinforce the interplay between personal financial decisions and the broader economy. Meanwhile, the National Financial Educators Council provides personal-finance educators with advice and course-development tools to craft advanced financial literacy classes. Unfortunately, these piecemeal solutions haven’t yet had a measurable impact on test scores, financial-literacy rankings or savings rates. To encourage more of its young citizens to begin saving and investing for college, home purchases and retirement, the U.S. government may wish to enact a national economic-education framework similar to what’s already in place in some European Union nations. Alfonso has been covering the forex market for more than 10 years, working at trading desks and global research and analysis teams. He works with OANDA regularly as a market specialist in business dailies and online portals. You can read more of Alfonso’s work at Google+.